Despite a historical association with divestment, South Africans have mixed feelings about the tactic. Will that hinder a new campaign by climate activists? When the famously oil-rich Rockefeller Brothers Fund announced last month that it would be ridding its nearly $1 billion portfolio of fossil fuel investments, it was not only a coup for the student-led divestment movement that began a couple years earlier in the United States, but also further recognition of the South African anti-apartheid struggle, whose successful use of the tactic served as inspiration. Being a historical touchstone is nothing new for South Africans. When it comes to divestment — be it the U.S. campaigns against tobacco and sweatshop labor in the 1990s or the current global Boycott, Divestment and Sanctions movement against Israel — the anti-apartheid struggle is always cited as an influence. What is still largely new for South Africans, however, is actually being the ones to launch a divestment campaign. Despite being closely associated with the tactic, it was actually the work of international activists. As a result, there seems to be a sense among South Africans that such efforts are best left to wealthier countries — not to mention some skepticism about the actual importance of divestment to toppling apartheid. “Divestment is a peculiarly ‘feel-good’ American concept,” said Terry Crawford-Browne, a former international banker, who became an activist in the 1980s, advising Tutu, among others, on the banking sanctions campaign against apartheid. He argues that this action made business in South Africa untenable and played a bigger role in ending apartheid than the divestment of American companies from their South African subsidiaries. Now he is advising the same strategy for the BDS movement against Israel, which has actually had a South Africa campaign since 2010. Nevertheless, both acknowledge that South Africa needs to address its carbon emissions, which rank among the worst in the world due in large part to coal production. To make matters worse, the current government also supports widespread fracking, increases in coal exports and deep-sea drilling. 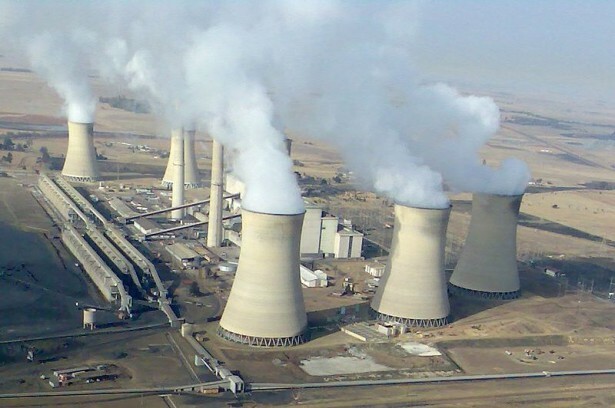 “We should lead the world in renewable energy – wind, solar, waves – but the vested interests at Eskom [South Africa’s leading power utility] and elsewhere are still pumping coal and now nuclear energy,” Crawford-Browne said. The latter has been a leading issue for Earthlife, which regularly holds demonstrations outside Eskom’s headquarters attended by the many poor people who are affected by the utility’s outrageous prices and pollution. Yet, despite all signs suggesting South Africans are not interested in a divestment campaign against fossil fuels, students, faculty, staff and alumni at the University of Cape Town, or UCT, launched one last year. Although they have yet to persuade the university, or any other institution, the campaign is still in the design and research phase, with ambitions of spreading beyond South Africa, to include regional targets. If he and Klein are right about the potential of fossil fuel divestment, then no matter how South Africans engage with it, they will have played a crucial role.